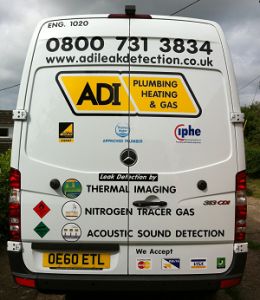 ADI are careful to perform only the most unobtrusive leak detection investigations on your home or business property. Our advanced equipment, like our thermal imaging cameras for example, permit us to see through walls to find the source of your leak. Our equipment is sophisticated enough to allow our engineers to work in a very time efficient and cost effective way. 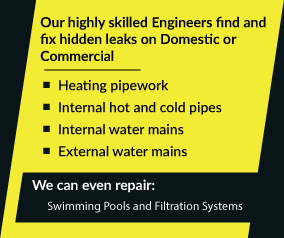 No matter where you live in the United Kingdom ADI can call to help you.